HONOLULU — Gov. 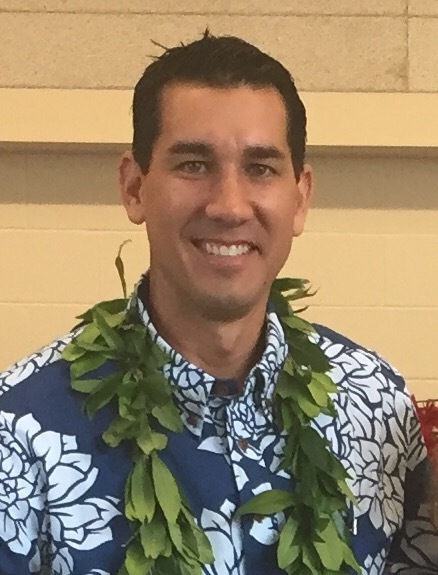 David Ige has appointed Kaiali‘i (Kai) Kahele to his late father’s state Senate seat. Sen. Gil Kahele represented Senate district one which encompasses the greater Hilo area, when he died on Jan. 26, 2016. “Kai has extensive community support and is committed to completing the work of his father. He has a broad vision for the future of this district and for all of Hawai‘i Island that will serve his constituents well,” said Gov. Ige. “My father led by example, and community service was part of my life for as long as I can remember. I am honored to carry on his legislative initiatives. In addition, I intend to focus on job creation by strengthening workforce opportunities and small business in Hilo and the state, and I will continue to be a strong advocate for Hawai‘i Community College and UH-Hilo,” Kahele said. Kahele lives in Hilo where he is a Major in the Hawai‘i Air National Guard and a combat veteran C-17 instructor pilot. He has been honored many times for his military service. In 2005 he was awarded a National Defense Service Medal and a USAF Air Medal for combat missions flown in Afghanistan. Most recently Kahele received the Guard Officer of the Year award at Hickam Air Force Base (Feb. 2016). He is also a pilot with Hawaiian Airlines, a UH-Hilo adjunct faculty member and the executive director of the nonprofit Pa‘a Pono Miloli‘i. In 2015, Kai was a crew member on the Polynesian Voyaging Society’s canoe Hikianalia.